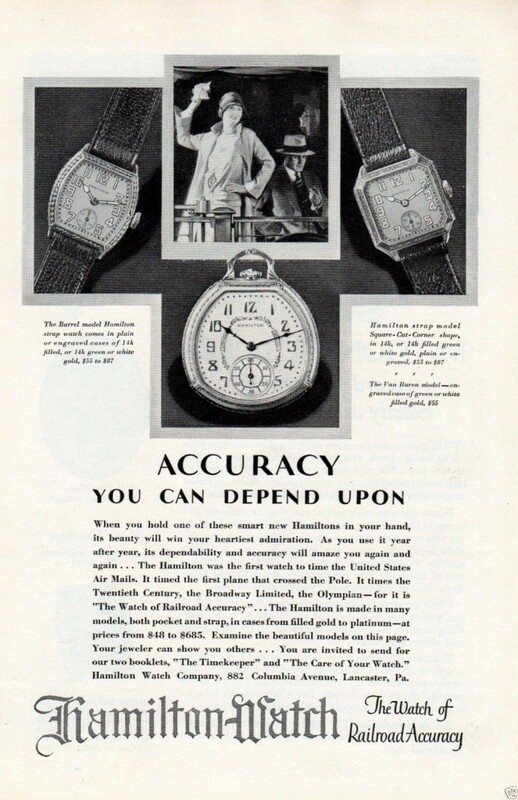 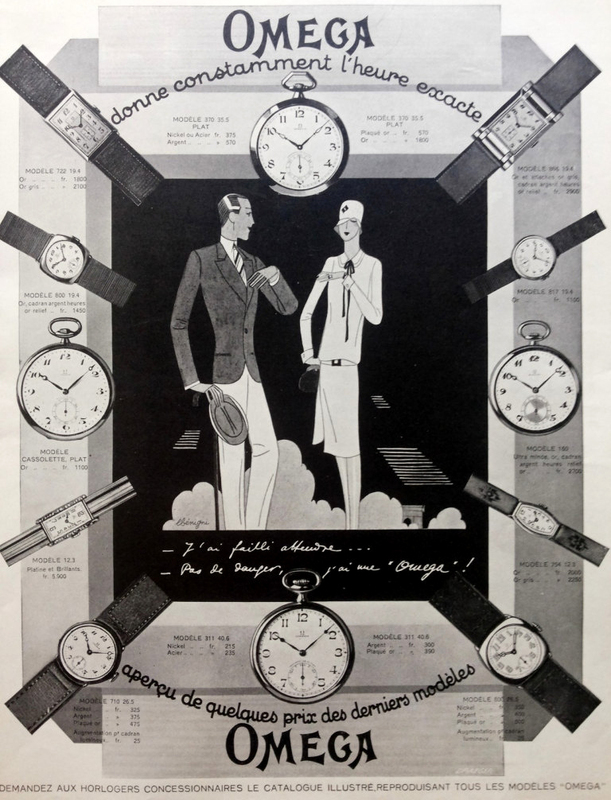 Hamilton Watch Company advertisement touting “accuracy you can depend upon,” circa 1928. 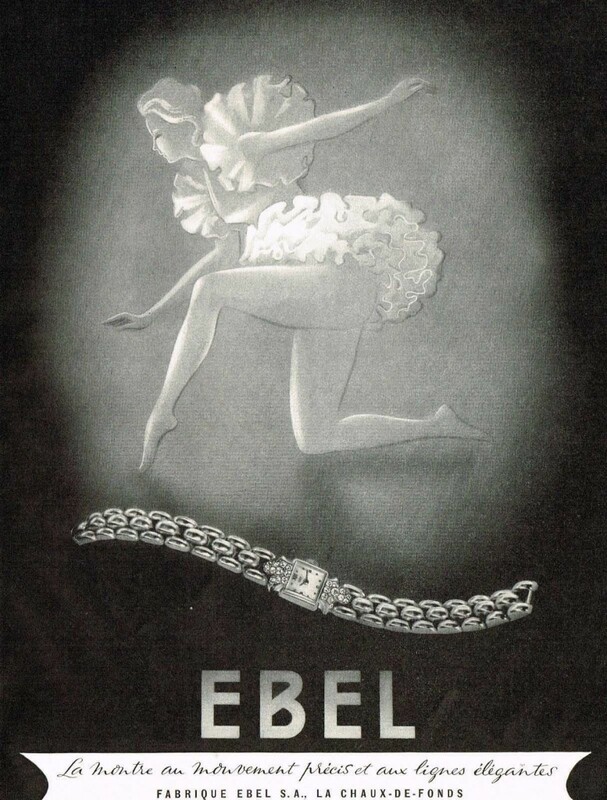 Graceful Swiss Ebel Watch Company advertisement, circa 1946. 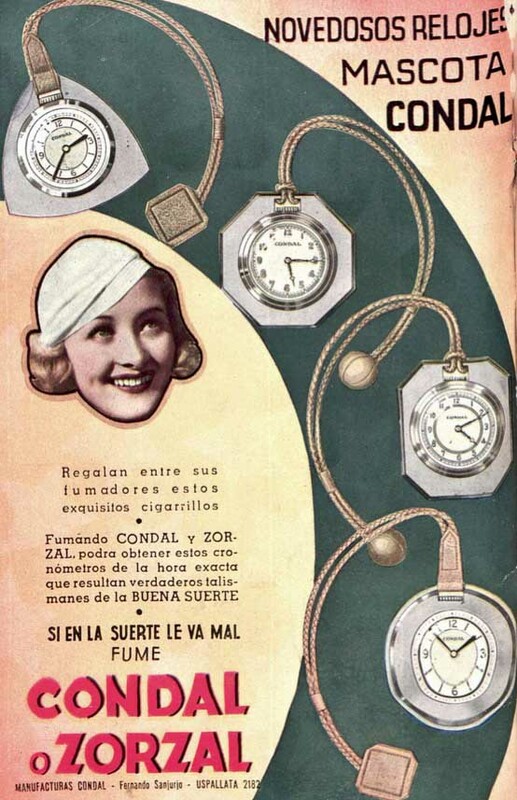 Early Omega watch ad featuring newfangled “wristlet” watches, circa 1910.